Residents of Nghi Yên Commune in the province of Nghệ An are still waiting for relocation despite suffering severe environmental pollution. The air pollution is allegedly being caused by a nearby garbage disposal complex. 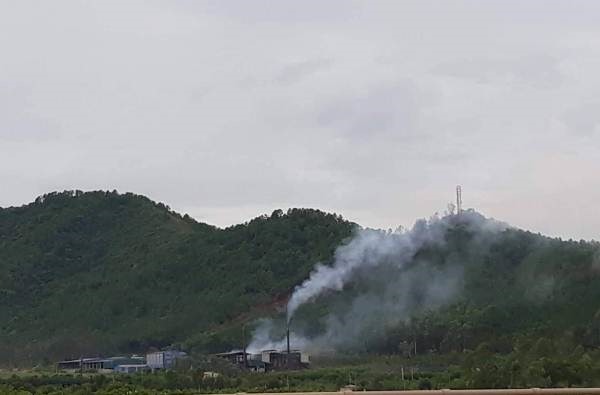 Residents complain of near-constant noxious fumes and bad odour emanating from the incinerators, Thanh Niên (Youth) newspaper reported. “The garbage is burned day and night, causing a terrible smell since it was put into use in 2011,” Trần Đình Lương, a local resident, said. Pointing at a full fly-trap on the table, he said, the insects swarmed the house, especially in hot weather. “We all have headaches from the fumes,” he said. Piles of waste were spotted around the site, and trucks carrying trash travel to and from the area every day. People had lodged several complaints with local authorities but the problem had not been dealt with, he said. Living 400m away from the landfill, Phùng Bá Đô also complained about pollution. “In summer, the weather is so hot but I have to close the windows all day and night. The water in wells also turned black, and no one dared to use it. Many children have to go to hospital because of pneumonia,” he said. “We have heard the local government promise to resettle us for many years, but have not seen it done," said Đô. Nghi Yên waste disposal complex, covering 53ha in hamlet 4 of Nghi Yên Commune, Nghi Lộc District, was put into use in 2011 to collect and treat waste from Vinh City and some other districts. It is managed by Nghệ An Urban Construction and Environment Joint Stock Company, with a capacity of 300 tonnes per day. Local residents repeatedly blocked the garbage trucks from entering the waste treatment area causing local authorities to promise to relocate households directly affected by pollution, but the problem persists. Hoàng Phúc Nam, deputy chairman of Nghi Yên Commune People’s Committee, said 39 households were moved to build the landfill and the remaining families still live with pollution. In 2017, the People’s Committee of Nghi Lộc District conducted a survey of affected households and reported to the province on a relocation plan. The province also approved funds of VNĐ51 billion (US$2.2 million) for relocation of hamlet 3. However, the project has not been implemented due to a lack of money, Nam said. According to Nguyễn Thanh Hải, deputy chairman of Nghi Lộc District, they need about VNĐ200 billion ($8.7 million) for resettlement. Thái Văn Nông, deputy director of the Natural Resource and Environment Department, admitted the pollution was a problem and asked the waste treatment company to promptly deal with the issue and implement the waste treatment process as approved in the environmental impact report. The provincial People’s Committee assigned Vinh City People’s Committee to be responsible for managing and supervising issues related to operation, waste treatment and environmental protection in Nghi Yên waste treatment complex. The city is also responsible for allocating funds to implement compensation, support and resettlement for affected households as soon as possible.